In too many of us it gets blocked. But it can be unblocked. There have been three centers of intelligence observed in humans dating back to Ancient Greece: Head (thinking), Heart (feeling) and Gut (intuitive doing). All three centers are active in each person, and are necessary for survival. However, we don’t access each of them equally because this is part of our brain’s conditioning. For example, I’m primarily a gut-based person. This means I operate mostly out of my gut reactions first, with support from my heart and/or head. Others describe themselves as primarily heart based, with support from their gut intuition and/or head. We all know thinkers who predominantly operate from the head center because their internal thinking is deeply valuable to them. Clearly, our centers need each other. They independently and interdependently bring out our creativity. The slow hunch from our gut needs to be nourished. Even if it’s a flash of insight from the gut, we need the head center to prove it and the heart center to nourish it. To befriend our total experience is to accept all of our responses. To allow information to flow without judgment from all three centers and experience events, good or bad, painfully or joyfully, is to be truly alive. Our task is to consider every moment, and our reaction to it, as potentially interesting, challenging, and revealing to our creative process. To be fully creative we need an open heart, open head, and open gut willingly befriending each other. We need to be aware when any of our centers are closed or blocked. We need self-confidence to solve problems or exploit ideas creatively. You absolutely can develop the self-belief and confidence in your own creativity by experimenting with and trusting in your three intelligence centers as THE sources of your creativity. The key is to build an awareness of where your fire comes from regarding your ideas or problems. Does it originate from your heart, head, or gut intelligence center? In what proportion is the fire burning to solve problems from each center? From your heart/head/gut’s perspective is it 80/10/10 or 34/65/1 or 33/33/33? To facilitate this awareness, I offer a free three-center self-assessment on my website. By discovering which center is your dominant, supportive and under-used center–you will build your awareness and confidence in your creative self. Why a self-assessment and not some kind of creativity test? 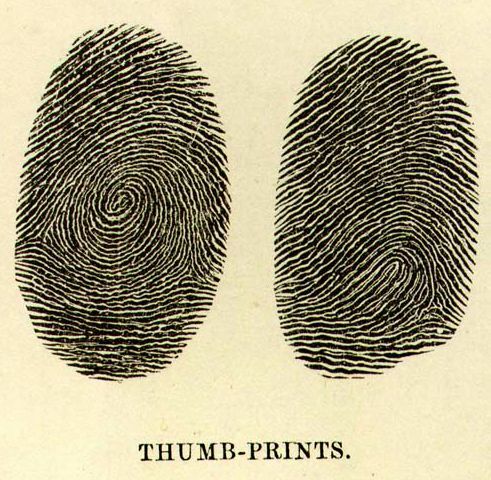 The answer is because creativity is not simply a set of personality traits or skills. It’s not familiarity with a set of behaviors that facilitate pre-fabricated strategies. Creative people are inventors; they invent both problems and solutions. Creativity happens when a person with the right set of skills and knowledge (from the head, heart, and gut) invents or finds a meaningful problem that cannot be solved using any existing approach. The problem is solved creatively only by the person uniquely executing their own set of experiences (from the head, heart, and gut). Who knows who is going to hit the jackpot? Only people who have chosen to embark on this quest. I can’t “teach” creativity because it is a very personal quest. My quest is to facilitate your creative quest. Thanks for reading my post. This is an excerpt taken from my recent book: The Three Sources of Creativity: Breakthroughs from your Head, Heart and Gut. My core message of everyone is creative resonates with people of all ages and walks of life. I invite all to become the best version of themselves at my website and find true meaning by pursing long term creative quests. This entry was posted in creativity, innovation and tagged breakthroughs, creativity, intelligence, intuition, positive psychology, self-assessment on August 9, 2016 by admin. 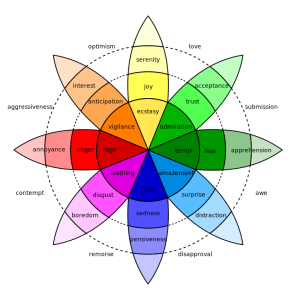 Did you know there is a color wheel of emotions? Psychologist Robert Plutchik’s psycho-evolutionary theory of emotion is a very influential classification approach, shown above. He considered there to be eight primary emotions—anger, fear, sadness, disgust, surprise, anticipation, trust, and joy. Plutchik proposed these “basic” emotions are biologically primitive and have evolved to increase reproductive fitness over time. He argues each is a trigger of behavior for survival, such as fear inducing the fight/flee/ freeze response. Plutchik’s theory considers all other emotions as mixed (or derivative states) of the eight primary emotions. In his model, all emotions vary in their degree of similarity to one another. Also, each emotion can exist in varying degrees of intensity or levels of arousal. He developed his “wheel of emotions” color wheel model in 1980. His suggested eight primary “bipolar” emotions are: joy versus sadness; anger versus fear; trust versus disgust; and surprise versus anticipation are shown in the second circle. The inner circle shows a higher level of intensity of these emotions. The outer circle shows lower levels of intensity of these emotions. I think the metaphor of a color wheel is effective because like colors, primary emotions can be expressed at different intensities and can mix with one another to form different emotions. Artists have been using colors to reveal emotions and moods for eons… feeling “blue” (down, depressed), light blue can suggest calm, seeing “red” (rage, danger, even pulsating life), “green” has been used to show “growth” and black used to show grief, evil, or penitence. Emotions and colors are closely tied together. Plutchik’s model is creative and enlightening. 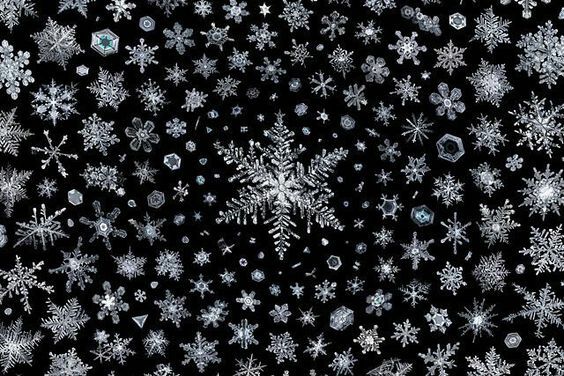 It shows feelings according to intensity (strongest in the center, weaker as the flower blooms outward). However, there are some emotions still missing. Ramiro Puentes is an outstanding artist, photographer, painter, sculptor and poet who uses color to express his moods. He’s risen from crippling poverty and used art to save himself and reimagine the streets of Skid Row in downtown LA, California. Skid Row contains one of the largest stable populations (between 3,000 and 6,000) of homeless people in the United States. Ramiro explains which colors he identifies with and why in this VERY INSPIRING video. Our emotions have indeed evolved over time for our benefit and the survival of our species. The color wheel attempts to depict this (no model is perfect). 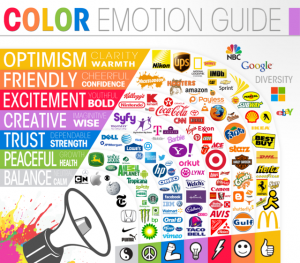 The business world has certainly capitalized on our color/emotion connection in their marketing strategies. When we feel compelled to buy something, color can play a major role. Analytics company KISSmetrics created an interesting infographic on the science of how colors affect our purchases. Clearly, every one of these companies is seeking to trigger a very specific emotion that will result in our buying their product. Our heart’s higher purposes of “connectedness” and “relatedness” to others have helped us to survive and thrive (as Ramiro’s video shows). We’ve also learned the value of “transcendence.” There are times when certain emotions must be set aside so we can pursue a higher dimension or purpose. Artists and creatives have learned how to express whatever emotion they need to–in whatever colors–in order to transcend to the next level… and we all get to learn in the process. What colors match your emotions? How do you express them creatively? Are there some colors you naturally gravitate to? I know when i go to my closet and put on black, its because I’m mellow, peaceful (not depressed). This entry was posted in creativity and tagged artistic, colors, creativity, emotions, motivation, survival, video on July 6, 2016 by admin. This is my third post continuing with the theme of finding inspiration to boost our own creativity. Please think about how these photos impact your head, heart and gut intelligence centers. How does each voice speak to you when you consider them? When I need inspiration to kick-start creativity it helps me to look up… I am mesmerized when I think about riding in our Milky Way galaxy— home to 400 billion stars and our own moon, sun and solar system. Our spiral galaxy is nearly 120,000 light-years across and is a fairly typical barred spiral–with four major arms in its disk, at least one spur, and a newly discovered outer arm. The galactic centre, which is located about 26,000 light-years from Earth, contains at least one supermassive black hole (called Sagittarius A*). The Milky Way began forming around 12 billion years ago and is part of a group of about 50 galaxies called the Local Group. 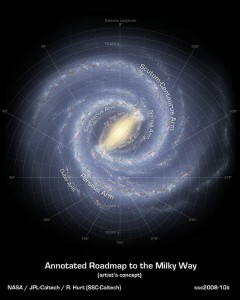 The Andromeda Galaxy is part of this group as are numerous smaller galaxies, including the Magellanic Clouds. The Local Group itself is part of a larger gathering of galaxies called the Virgo Supercluster of galaxies. Is your head spinning yet? We belong to a ginormous neighborhood of galaxies. 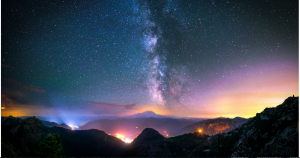 Lets delight in some of the most amazing views of our Milky Way galaxy ever captured by amateur and professional astronomers… or “MW” as I affectionately say. 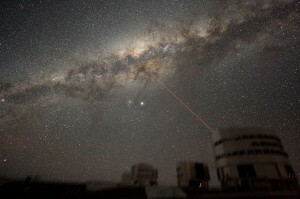 Image of the night sky above Paranal, Chile on 21 July 2007, taken by ESO astronomer Yuri Beletsky. A wide band of stars and dust clouds, spanning more than 100 degrees, is seen. At the centre of the image, two bright objects are visible– the planet Jupiter and the star Antares. Here MW glows over an old windmill in this stunning image shot by an amateur astronomer and astrophotographer Sean Parker. This (14-shot panoramic view) is over Paulden, Ariz. The planet Jupiter, bright star Sirius, constellation Orion and open star cluster–the Pleaides–can also be seen toward the right in the photo. 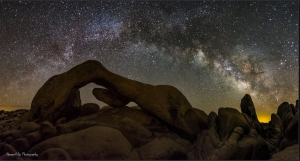 In 2014, astrophotographer Shreenivasan Manievannan photographed MW arching over a rock arch in Joshua Tree National Park, California. 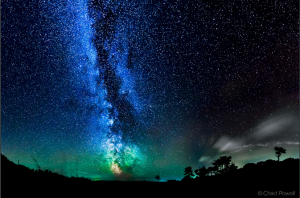 The Milky Way and green airglow are captured over the Isle of Wight in this image taken by Chad Powell on Oct. 4, 2013. 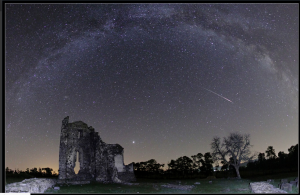 The bright Perseid meteor streaked through skies in Hungary on August 8, 2010. In the foreground is the Church of St. Andrew ruin, with bright Jupiter dominating the sky to its right. Two galaxies lie in the background: our own MW, and the faint smudge of the more distant Andromeda Galaxy just above the ruin’s leftmost wall. A view of MW toward the constellation Sagittarius (including the Galactic Center) as seen from the Black Rock Desert, Nevada). The bright object on the right is Jupiter, just above Antares. Photo by Steve Jurvetson. MW arching from the Cerro Paranal, Chile, on the left, and sinking into the Antofagasta’s night lights. 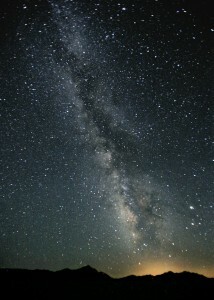 The bright object in the center, above the Milky Way is Jupiter. 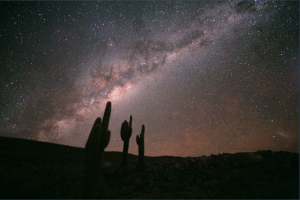 The Magellanic Clouds are visible on the left side, and a plane has left a visible trace on the right, along the Vista enclosure. Photo by Bruno Gilli/ESO. 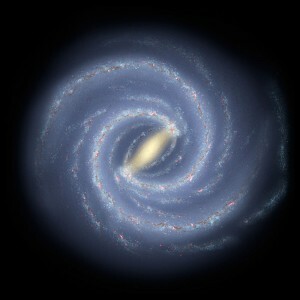 This detailed artist’s impression shows the structure of MW below, including the location of the spiral arms and other components such as the bulge. This image includes the most recent mapping of the shape of the central bulge from survey data from ESO’s VISTA telescope at the Paranal Observatory, credit NASA/JPL-Caltech/ESO/R. Hurt. Where is our sun relative to our gigantic MW neithborhood? 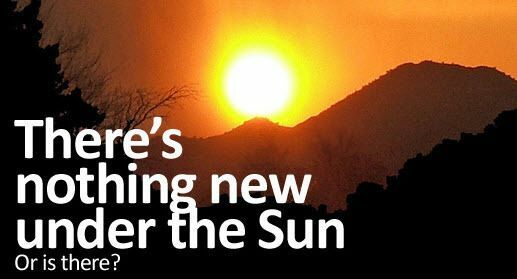 Yes our sun is located close to the “Orion Spur.” In my own sky above Santa Fe, New Mexico–I can always depend on finding Orion! The constellation is located on the celestial equator and visible throughout the world, named after a Greek hunter in mythology. 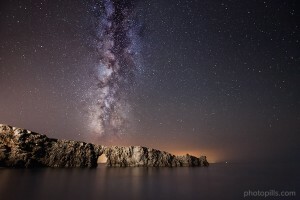 Lastly photographer Antoni Cladera shows why “shooting the Milky Way is contagious” with photo below. 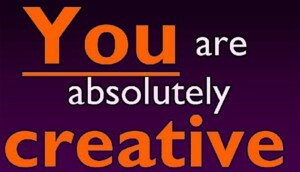 We are all creative creatures living in a God ordained, ever-creative, and expanding universe. 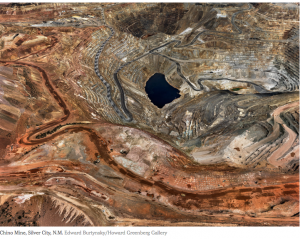 How is your head, heart and gut inspired by these photos in distinctive ways? Which is your favorite and why? Thanks for reading my post. I am an organizational and business consultant living in the mountains of Santa Fe, New Mexico with my husband and dogs. My core message of everyone is creative resonates with people of all ages and walks of life. I invite all to become the best version of themselves in my book and find true meaning by pursing long term creative quests. This entry was posted in creativity, innovation, technology and tagged awesome photos, creativity, galaxy, inspiration, Milky Way, universe on June 2, 2016 by admin. Looking for more creative inspiration? I am continuing my theme of “inspiration for more creativity” from my last blog. 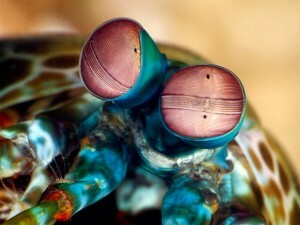 There may never be more unique artistry created than in animal’s eyes. 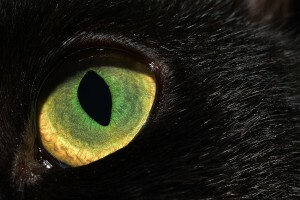 These detailed photos of animal’s eyes are captured using macro photography. 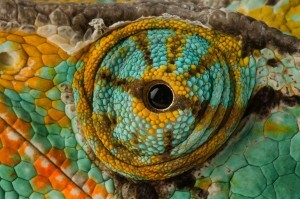 We can try to match the colors and details of nature’s diversity–but can we ever truly be as successful? Maybe not, but we sure can try! Be listening to your: “heart voice,” “head voice” and “gut voice” as you allow each photo to speak to you. 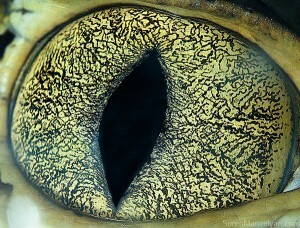 Special thanks to Suren Manvelyan, a professional Armenian photographer who specializes in animal eyes (some of his photos are shown below). His work is awesome! 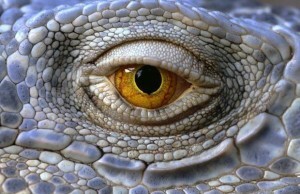 And which animal in our animal kingdom has THE MOST EYES? 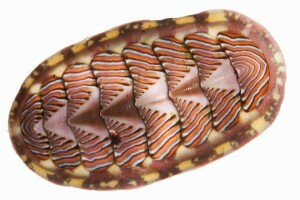 The answer might surprise you– its the chiton, a type of mollusk. It is an ocean dweller and has thousands of eyes embedded in shells on their backs. Most scallop species also have dozens to hundreds of eyes, as do ark clams and giant clams. 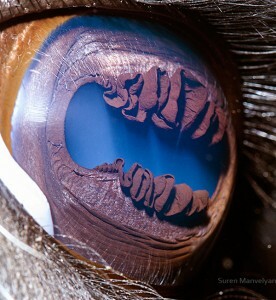 I don’t know about you but I am incredibly inspired by the creativity of these animal eyes, each exquisitely unique. 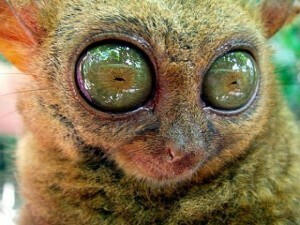 It is a privilege to experience the extreme biodiversity of our God given planet earth! 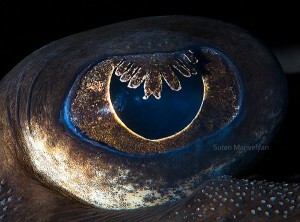 Next time you see any kind of interesting animal, take a closer look at their eyes… they are bound to inspire you in surprising ways. The neon amber eyes of my weimaraners certainly do. 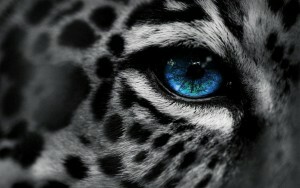 How are you inspired by these animal’s eyes? Which one(s) inspire you the most– from your head, heart and gut perspective? This entry was posted in creativity, innovation, technology, Uncategorized and tagged animal eyes, creativity, innovation, inspiration, macro photography on May 31, 2016 by admin. Disbelief seems to be the universal response to open-pit mines. 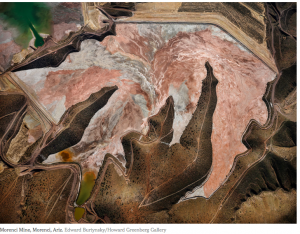 Photographer Edward Burtynsky says, ‘‘I look for the biggest mines in the world.’’ These photographs, shot in Arizona (below) and New Mexico in 2012 are some of the continent’s largest copper mines. 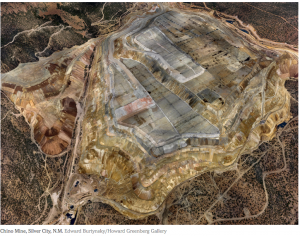 The Morenci Mine (below), will produce 900 million pounds of copper every year for the next five years. 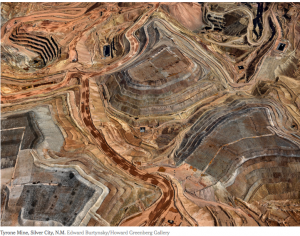 The earth is reshaped radically. 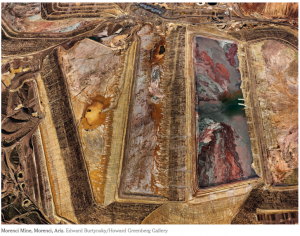 Burtynsky reveals how surreal, multicolored, carved up and drastic the newly patterned landscape is. Like it or not, this is how we get our copper that serves our hi-tech world! Welcome to the Industrial Revolution, 150 years in the making. 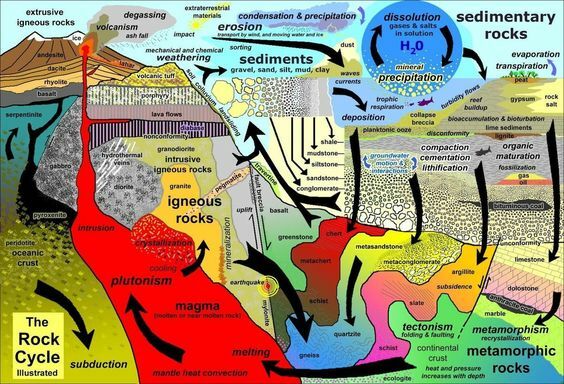 This is part of how we have reshaped our planet Earth. If we are awed by these pictures, you can only imagine how the excavator driver feels as he or she descends into the deep and deeper abyss. 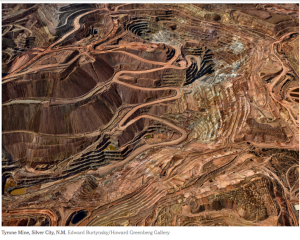 There may be no getting to the bottom of this... how we feel about it and at the same time our appetite (the world’s) for more technology is insatiable… which requires more copper extraction and devastation to the earth (depending on how you see it). Thank you for reading my post. I share a story about how our community managed the “fracking company” when they came to our town insisting on “fracking undeveloped potential” in our neighborhoods (an unregulated activity at the time). We collaboratively worked together to create a state of the art oil & gas ordinance for our county. You can read about that in my book. I am an organizational and business consultant living in the mountains of Santa Fe, New Mexico with my husband and dogs. My core message of everyone is creative resonates with people of all ages and walks of life. I invite all to become the best version of themselves and find true meaning by pursing long term creative quests. 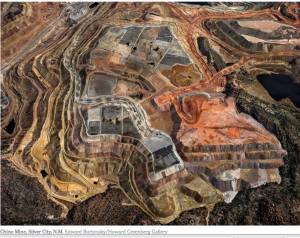 This entry was posted in creativity, innovation, technology, Uncategorized and tagged creativity, environment, innovation, mining, technology on May 9, 2016 by admin.